Where on the vast estate of 2560 acres granted to George Hull in 1824, 5.2 miles or 4.5 nautical miles north of Hobart was the house called “Tolosa” built? 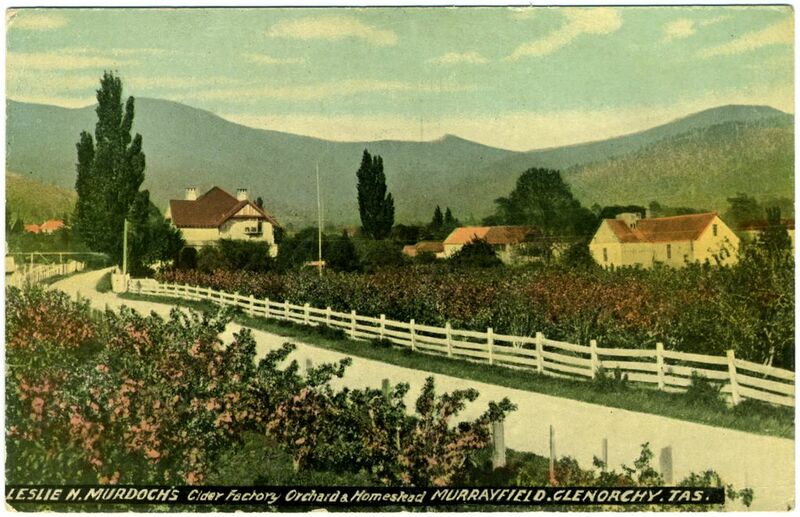 Was it on the Kangaroo Valley (now Lenah Valley) side adjacent to the 400 acres he sold to Lady Jane Franklin (1834) which she named Ancanthe and where she built her museum, or was it located further north on the Glenorchy side of what is now Kalang Avenue, 8 miles north of Hobart? Where was the house located in relation to the present Tolosa Street, Glenorchy? What was its architectural style and why was it called “Tolosa”? 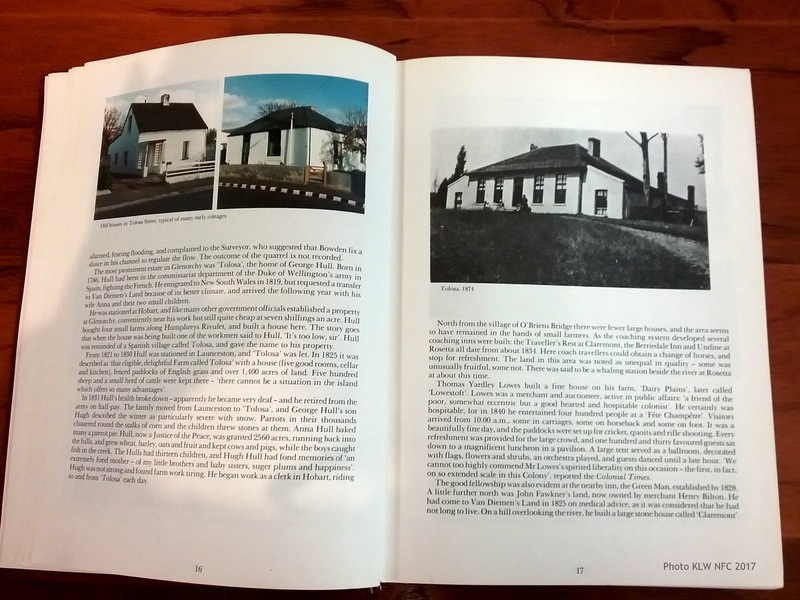 Do two photographs of houses taken by Thomas J. Nevin ca. 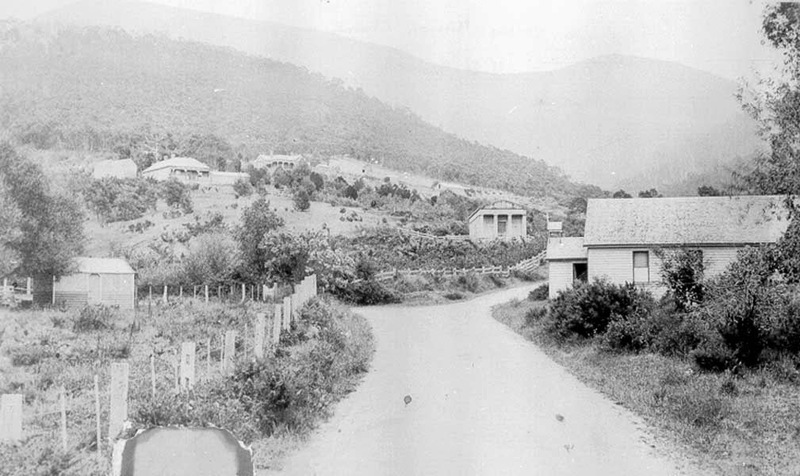 1868 in the area where his father John Nevin built a house at Kangaroo Valley in 1853 show off the house called “Tolosa”? This lithograph of 1859, though not clear, shows enough of the house to indicate that its facade had a verandah with a series of arches, and eight entrances and windows in total, all facing north-east. Publication Information: London : Orger & Meryon ; Hobart Town : J. Walch and Sons, 1859. According to one biography of George Hull, it was a comment that his builder made about the house being “too low” that George Hull named his house “Tolosa” after the architecture of the Spanish town where he had served a Treasury clerkship during the Peninsular War (1807–1814). George Hull (1787-1879), assistant commissary general, was born on 13 August 1787 in the parish of Iwerne, Dorset, England, son of Thomas Hull, a farmer and an officer in the county militia, and his wife Catherine, née Short. After receiving a classical education he was articled to a solicitor at Mitcham with the intention of following a legal profession, but learnt of the demand for accountants on the Commissariat Department staff in the war in Spain. Through the influence of Sir Mark Wood, he was offered and accepted a Treasury clerkship. He sailed for Lisbon in 1810. In 1814 he received from the Duke of Wellington a commission as assistant to the commissary-general. At the end of the war he returned to England, and married Anna (1800-1877), only daughter of Lieutenant Hugh Munro, formerly of the Scots Guards. For three years he served at Somerset House. In 1818 he was ordered on foreign service and was given an option of proceeding to Canada or to New South Wales. He chose the latter and with his wife and two children reached Sydney in the Tyne on 4 January 1819. He took up the administration of the Commissariat Department at Parramatta, but in September was transferred to Van Diemen’s Land. Here, in the opinion of Lieutenant-Governor William Sorell, Hull assumed unwarranted powers, just as Commissary Frederick Drennan was trying to do in Sydney and the matter was referred to Macquarie. The governor, whose own position in the dispute had been supported in London, now backed up Sorell in his turn, although Commissioner John Thomas Bigge agreed that the lieutenant-governor should not refuse Hull the usual indulgences if he decided to settle in the colony. 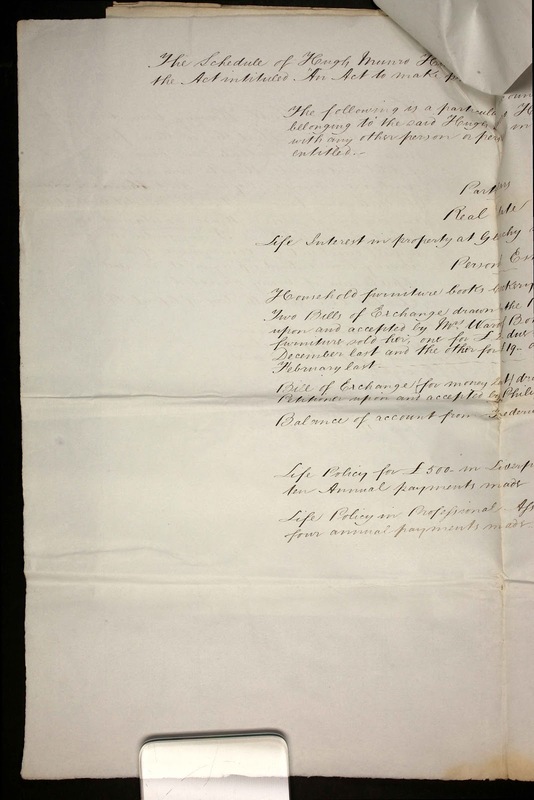 In 1824 Hull applied for a land grant under conditions offered to army officers on half-pay in New South Wales. For his military and other services he received 2560 acres (1036 ha) near Glenorchy. Here he built his home Tolosa, traditionally named because a workman’s remark that the house was ‘too low, sir’ reminded Hull of the name of the Spanish town in which he had served. 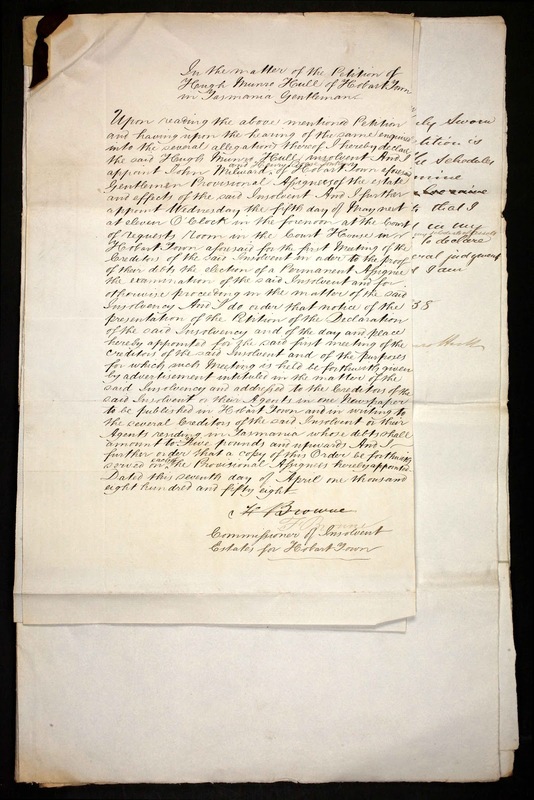 In 1828, in addition to other official duties, he was called upon to act as collector of internal revenue at Launceston and to unravel confusion in the accounts of a defaulting Naval Officer in Hobart Town. Next year he applied for the position of postmaster at Launceston but was refused. In 1831 he was obliged to retire from the Commissariat Department, as he was becoming too deaf, but in July 1832 was appointed a justice of the peace, and in 1837 held the position of assistant to the director-general of roads. In 1839 he was fulfilling the duties of sitting magistrate and in 1841 suggested that he might be appointed visiting magistrate as well. He then spent many years seeing to the cultivation of his large property but when his health began to fail he moved to live with his daughter at Battery Point and died there on 23 June 1879. He was survived by 10 children, 75 grandchildren and 24 great-grandchildren. He was buried with his wife in the grounds of St John’s Church, New Town. 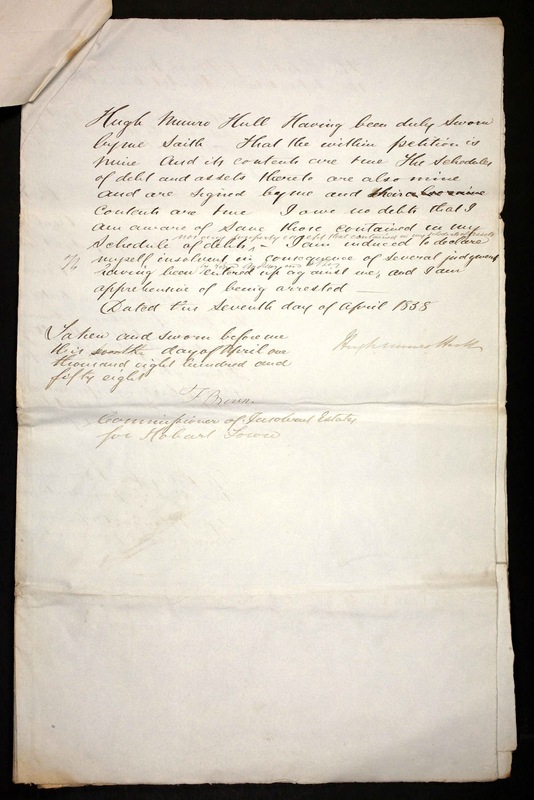 In 1824 Hull applied for a land grant under conditions offered to army officers on half-pay in New South Wales. For his military and other services he received 2560 acres (1036 ha) near Glenorchy. Here he built his home Tolosa, traditionally named because a workman’s remark that the house was ‘too low, sir’ reminded Hull of the name of the Spanish town in which he had served. This early map ca 1830 shows the vast extent of George Hull’s grant. 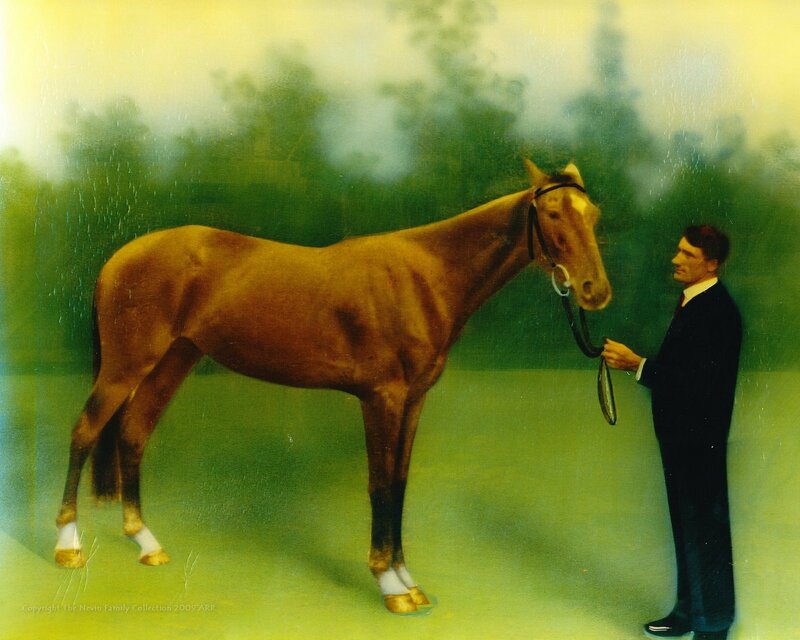 In 1834 he sold 400 acres to Lady Franklin at Kangaroo Valley. The remainder, 2000 acres, extended from the New Town Rivulet at New Town Bay on the River Derwent, up through the foothills of Kangaroo Valley (Lenah Valley) and over the hill – along what now is Kalang Avenue – to the Humphrey Rivulet in Glenorchy. 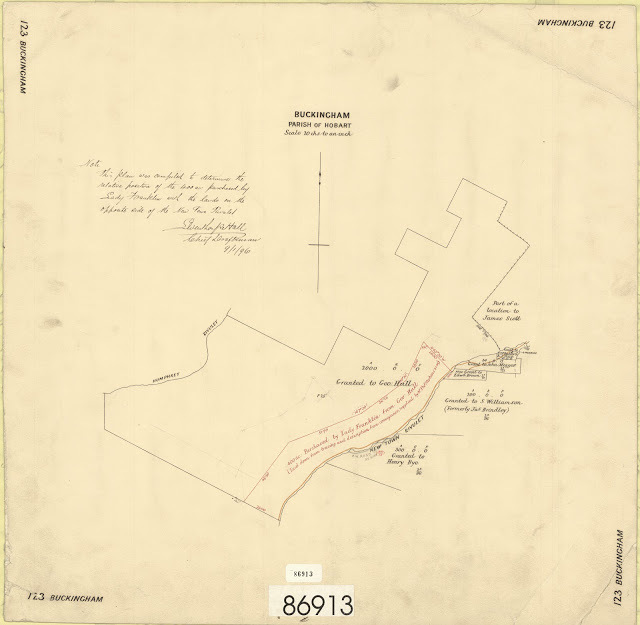 Note: This plan was compiled to determine the relative position of the 400 acs purchased by Lady Franklin with the lands on the opposite side of the New Town Rivulet. Thomas Nevin’s father John Nevin snr, built his cottage in 1854 on the one acre within the boundaries of Lady Franklin’s estate named Ancanthe which was managed in trust to the Wesleyan Church after her departure. The photograph Thomas J. Nevin took of the house his father built was exhibited at the Wellington Exhibition in 1868 to complement his father’s poem titled “My Cottage in the Wilderness’ published the same year. “T.J. Nevin Photo” inscribed on verso, ca. 1868. Hugh Munro Hull’s 1859 publication, Experience of forty years in Tasmania, gives a brief account of the blue gums (eucalyptus globulus) on his father’s estate, the prizes gained at the Great Exhibition of London in 1851 and the award won by Thomas Nevin’s uncle-in-law, (i.e. his wife Elizabeth Rachel Nevin nee Day’s father’s brother-in-law),Captain Edward Goldsmith for his entry of a blue gum plank at the Paris Exposition on 15 May 1855- 15 November 1855. So, what did the house called “Tolosa” look like and where was it situated? 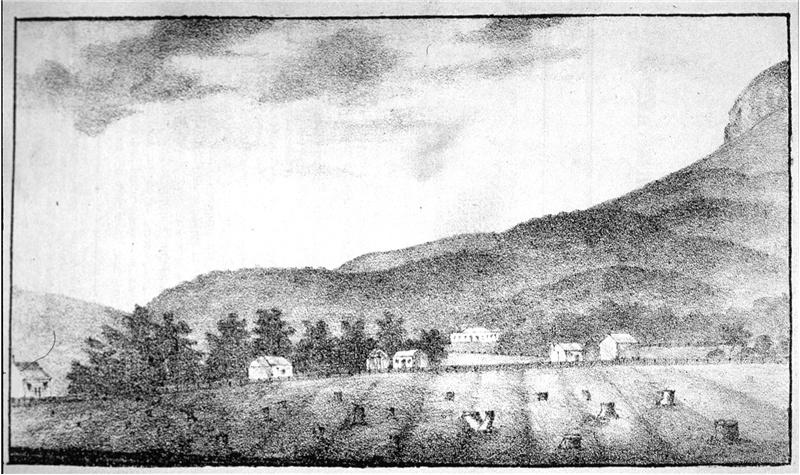 In 1834, Henry Melville devised this lithograph which he captioned “Tolosa, from the main road”, presumably viewed from the Hobart-Launceston line of road at Glenorchy. 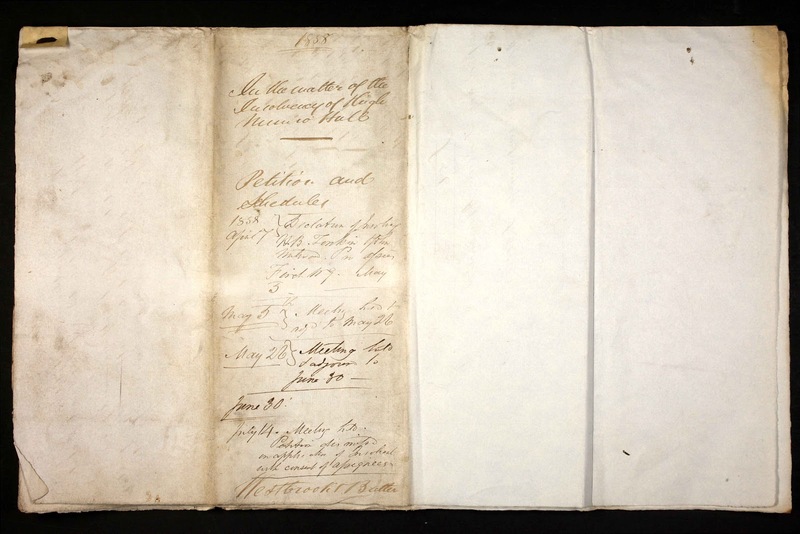 Publication Information: Hobart Town : Henry Melville, 1834. Physical description: 1 print : b&w., copper engraving ; 10 X 17 cm. Exact measurement: 95 X 170 mm. Summary:View of Tolosa from a distance across cleared paddocks with the tree stumps remaining. 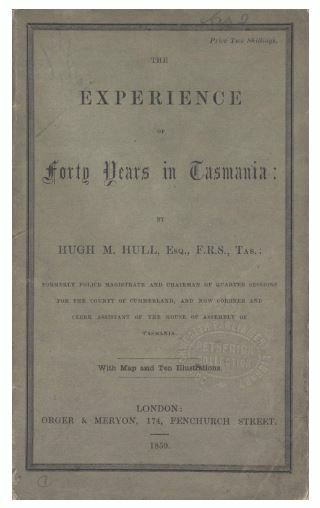 In 1859 George Hull’s son Hugh Munro Hull published a booklet titled “The experience of forty years in Tasmania“. He included a lithograph of the house called “Tolosa” viewed some distance from a position close to present day Barossa Road at Glenorchy. Publication Information:London : Orger & Meryon ; Hobart Town : J. Walch and Sons, 1859. Physical description:1 print : b&w ; 7 X 7 cm. 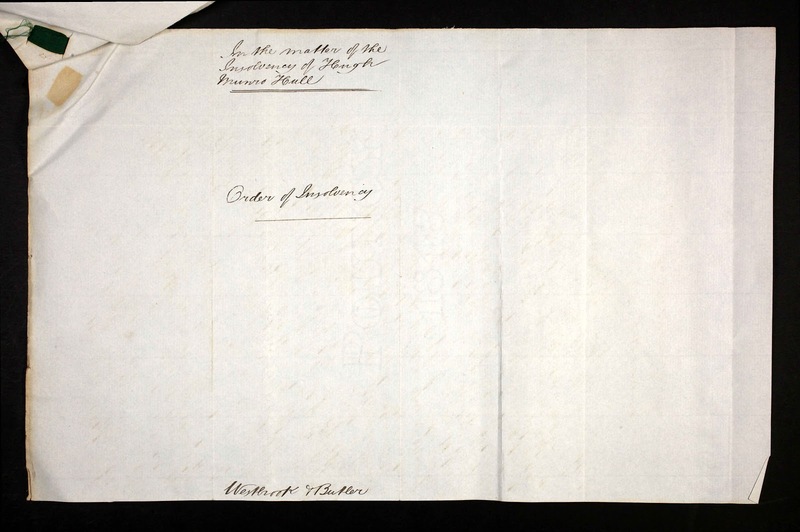 Notes:Title printed below image ; “Day & Son, Lithrs to the Queen” on bottom right hand corner. In: Experience of forty years in Tasmania Frontispiece. 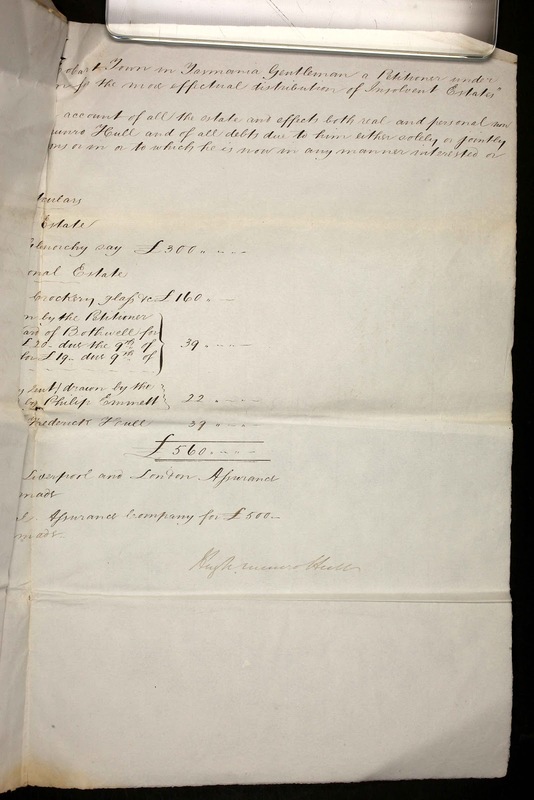 The preliminary notices of the sale of the Hull estate appeared in the press from August until the auction in November 1880. 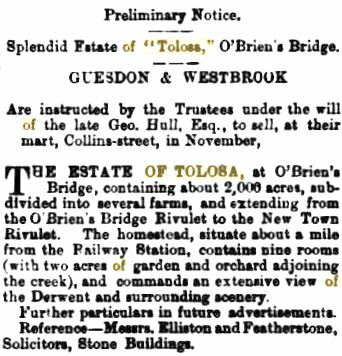 Splendid Estate of “Tolosa,” O’Brien’s Bridge. Are instructed by the Trustees under the will of the late Geo. Hull, Esq., to sell, at their mart, Collins-street, in November, THE ESTATE OF TOLOSA, at O’Brien’s Bridge, containing about 2,000 acres, subdivided into several farms, and extending from the O’Brien’s Bridge Rivulet to the New Town Rivulet. The homestead, situate about a mile from the Railway Station, contains nine rooms (with two acres of garden and orchard adjoining the creek), and commands an extensive view of the Derwent and surrounding scenery. Further particulars in future advertisements. Reference-Messrs. Elliston and Featherstone, Solicitors, Stone Buildings. At 12 o’clock, for half-past. 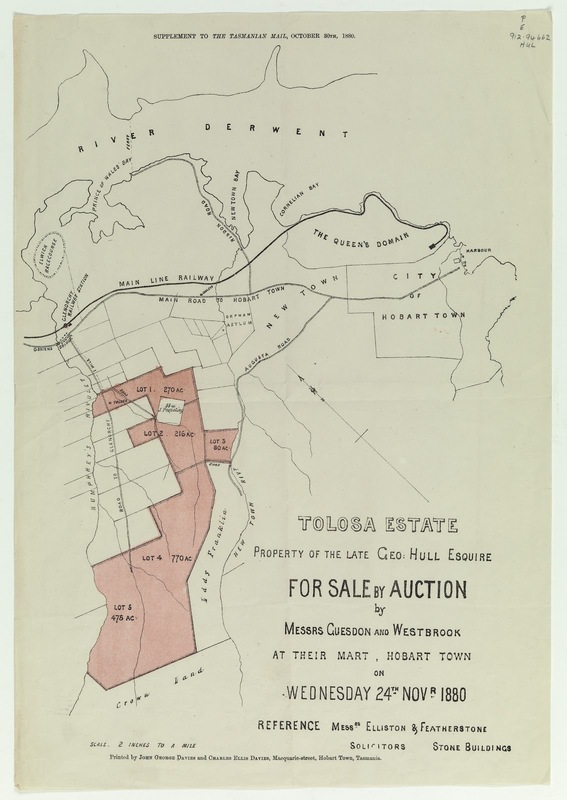 THE ESTATE OF TOLOSA, at O’Brien’s Bridge, containing about 2,000 acres, and subdivided as under into 5 lots. Comprises 270 acres of splendid land, 100 acres of which, consisting of good, rich, black soil, have been cultivated. This lot possesses a good frontage on Humphrey’s Rivulet, and on it is the homestead, surrounded by large garden and well-stocked orchard. The house, situate about a mile from the Railway Station, contains nine rooms, and commands an extensive view of the Derwent and surrounding scenery. There are a limestone quarry and large marl pits on this lot. Contains 210 acres of good grazing land, some portions of which have been cultivated, and a considerable area more might be brought under the plough. Contains 80 acres, and has a long frontage for the whole of the eastern boundary on the New Town Rivulet ; the greater portion of which consists of deep, rich soil, and 20 acres have been laid out in productive garden and orchard. There are two comfortable brick cottages and outbuildings on this lot. Contains 777 acres of principally bush land, heavily timbered with timber fit for sawing pur-poses. The gullies contain rich chocolate soil, covered with scrub, well sheltered for soft fruits. There is a permanent flow of water through this lot, a patch of which has been cultivated. Known as the Island, contains about 476 acres of open, lightly timbered, veil grassed hills. The land along the Rivulet is very rich, but thickly scrubbed. This property is one of the most beautifully and conveniently situated in Tasmania. It may be described as a most desirable country estate, possessing, from its proximity to the Railway Station and to the capital, all the facilities of access and advantages of a suburban residence. Terms – 25 per cent, cash deposit ; 25 per cent, on completion ; balance may remain on mortgage for 3 or 5 years, at 6½ per cent. Plan on view at the mart. Lithographed plans will be issued with the Tasmanian Mail, of the 30th October. Margaret’s death notice in the Mercury referred to her as ‘wife of John of Barossa Glenorchy’. In 1868 the valuation roll said Joseph Williams lived there and the property was owned by Margaret Propsting whose address was given as the Woodpecker Inn. 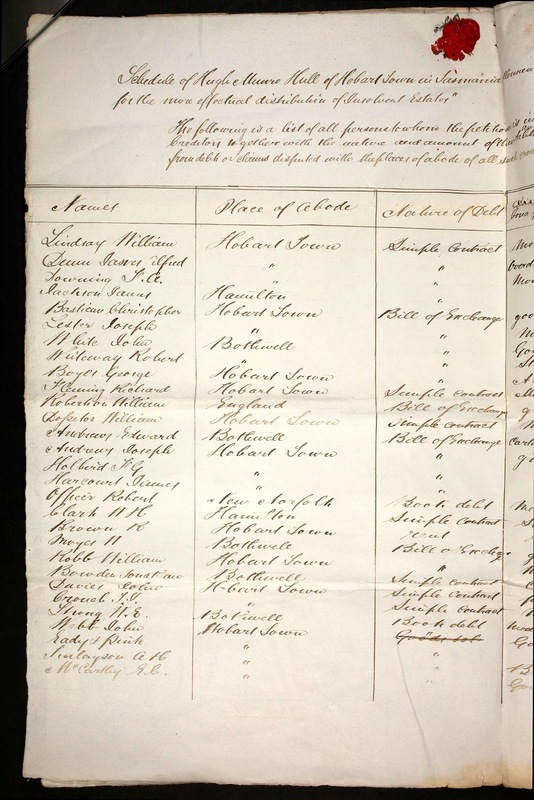 On the 1884-5 electoral roll (for Glenorchy) John Propsting’s address was given as Barossa farm and his qualification to vote was as the occupant of leasehold property at O’Briens Bridge. The map of George Hull’s estate for sale in 1880 clearly shows the area of 55 acres held in the name of “J. Propsting”. The two cottages advertised for sale in Lot 3 are not marked out on the map, but they would have been the two houses photographed by Thomas J. Nevin in the late 1860s when they occupied the 20 acres of productive garden and orchard along the eastern boundary of the New Town Rivulet, adjacent to the Lady Franklin Museum. Today the museum sits a little further to the right of the New Town Rivulet than this 1880s map allows for when Jane Franklin acquired 400 acres from George Hull in 1834. Hobart Town : Davies Bros., printers, 1880. Physical description: Map : 7.6″ x 12.2″. Supplement to the Tasmanian Mail, 30/10/1880. The map (below) from 1890 -1910 shows the Lower Glenorchy Reservoir newly established at Tolosa Park, towards the top end of Tolosa Street. The house called “Tolosa” is marked as situated between Barossa Creek and Dusty Miller Lane, the former name of Tolosa Street and a short distance from the landmark house “Murrayfield” which still stands at the roundabout bisecting Tolosa Street and Barossa Road. The house called “Tolosa” was still in situ when the estate of George Hull was auctioned in November 1880, published as a supplement with a map in the Tasmanian Mail 30/10/1880. 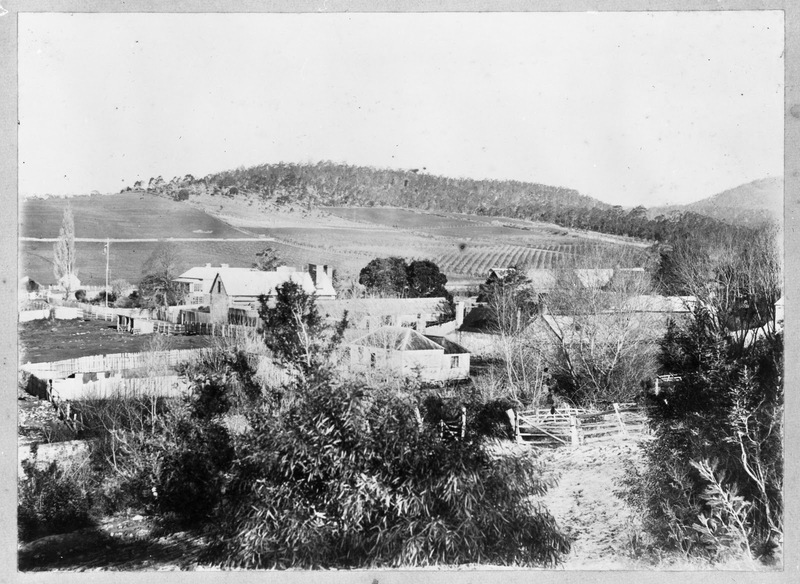 Below: The black and white photo mid 20th century was taken from behind the house at Murrayfield, looking across to the hill rising above Barossa Road. By 1904 the Morrisby family resided at “Tolosa” – presumably in the house labelled “Tolosa” marked on this 1910 map. Although three properties located in Tolosa Street appear on current Tasmanian Heritage Lists (2017), none is identified as the house called “Tolosa”. HUMPHREY RIVULET, GLENORCHY. Proposal for an open space system. Malcolm Clark; M.I.E. Aust., M,R.A.P.I. Jim Russell, B.A. (Psych. Hons. ), Dip.Ed. (b) above or north of Dusty Miller Lane (Tolosa St.): the Tannery, Houghton Mill, the Stone Flood Wall, Ravensdale and Clydesdale, on Humphrey Rivulet; Murrayfield on Dusty Miller Lane; the Mill; and Burnside across the “fan” of the valley, on the hill almost opposite Tolosa. The photograph (below) taken in the mid 1950s of a house identified at Glenorchy as “Tolsa” – a spelling mistake – is held at the Archives Office of Tasmania. Arguably, in the eyes of some, it might exhibit some architectural features of traditional late 18th century Spanish or even Basque architecture. It resembles the house with a large bay window on the left in Hugh Munro Hull’s lithograph. What is certain, however, is that the two houses which Thomas J. Nevin photographed ca. 1868 do not resemble the house in the 1950s photograph below. Whether the house photographed in the 1950s (above) is still standing in the vicinity of Barossa Road, Glenorchy, is most doubtful, given the extensive subdivision of the original Hull estate beginning with the soldier settlements at the end of the First World War. 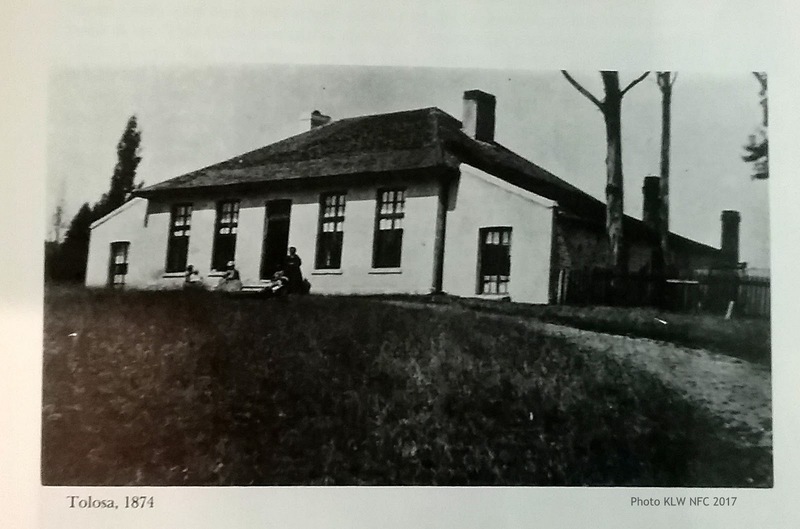 It is certainly not the house captioned as “Tolosa” in the photograph published in the book titled Glenorchy 1804-1964 by Alison Alexander (1986) which appears on page 17. 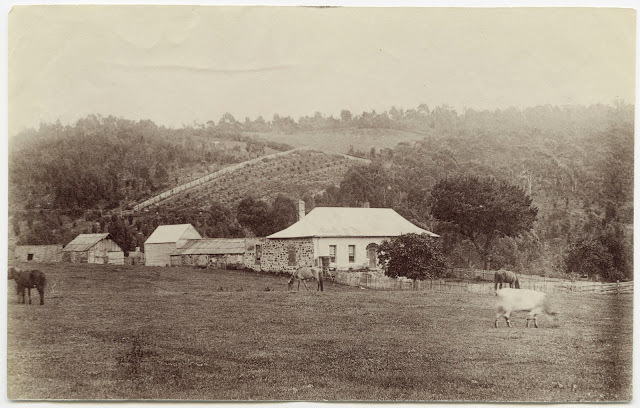 That house was photographed by Thomas J. Nevin and his partner Robert Smith in January 1868 shortly before Robert Smith’s departure to Goulburn NSW. In Alison Alexander’s book, one half of the original double-image stereograph was reproduced with the top and sides arch cropped out. 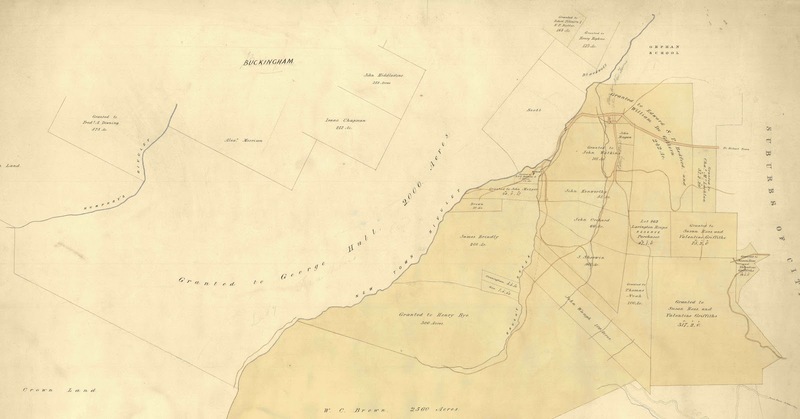 Source: Title: Glenorchy 1804-1964 /​ by Alison Alexander ; sketches and maps by Mollie Tomlin. Published: Glenorchy, Tas. : Glenorchy City Council, 1986. Physical Description x, 382 p. : ill., maps, ports. ; 25 cm. Alison Alexander gives no photographer attribution as usual but she did date the photograph “1874” rather than “1880” possibly because she was aware that its creator was Thomas J. Nevin who was most prolific around that date. She may have seen the original stereograph before the State collections were split between the Archives Office in Hobart and the Tasmanian Museum and Art Gallery in Rosny in the early 1980s. 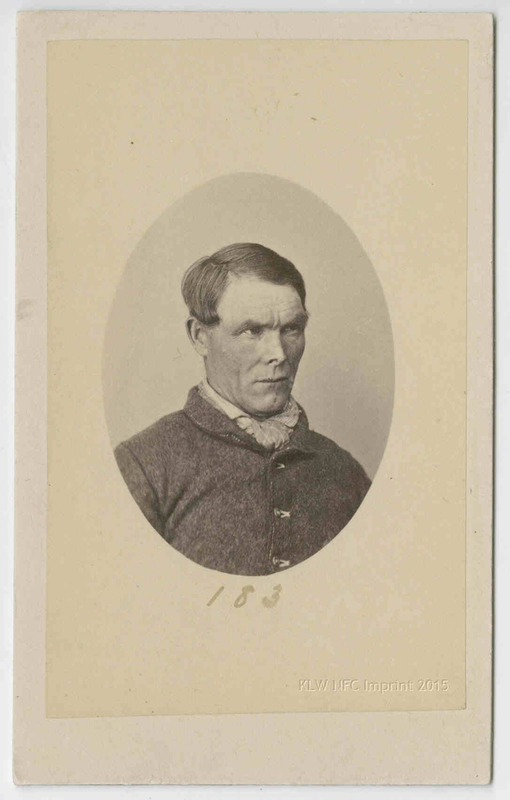 Thomas Nevin was well-known in that decade as the photographer of the 300 extant mugshots of Tasmanian convicts/prisoners whom he had photographed on government contract in the 1870s. 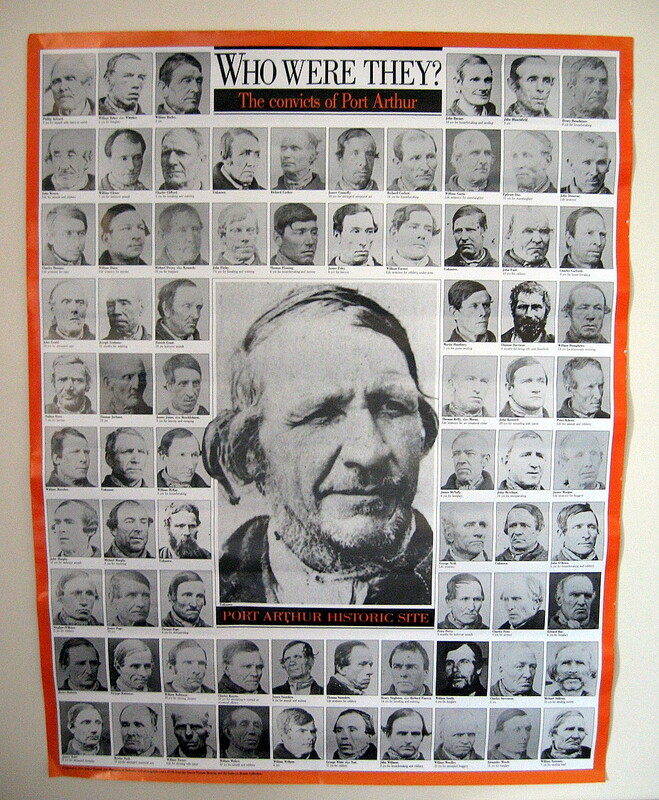 Hundreds of those mugshots were later reproduced and labelled “1874” by Beattie et al in the early 1900s at the behest of the Tasmanian government to attract penal heritage tourists to local and intercolonial exhibitions, and especially to the derelict prison ruins at Port Arthur. The original photograph of this house denoted “Tolosa” and dated 1874 by Alison Alexander, however, was taken by Thomas J. Nevin in 1868 just before his partnership with Robert Smith at the City Photographic Establishment was dissolved in February. The verso label shows Smith’s name is struck through. 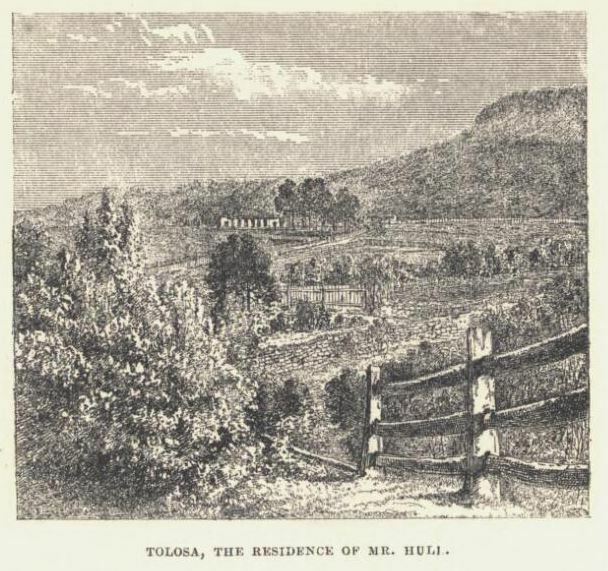 This is therefore not the house shown as “Tolosa” in Hugh Munro Hull’s lithograph. This house’s architectural template, by contrast, is late Georgian colonial: it does not have a bay window on the left hand side, nor does it have a verandah running along the facade with arches of intricate wrought iron lacework. This photograph taken ca. 1880 (below) shows a house with a distinctive blue stone wall built in the same late Georgian style as the two houses photographed by Thomas Nevin in the 1860s. The house is very similar to John Nevin’s cottage, in particular, which he built at Ancanthe on land in trust to the Wesleyan Church, and differs only in that the house which Alison Alexander (1986:17) mistook for the house called “Tolosa” has the addition of side extensions at each end at front. 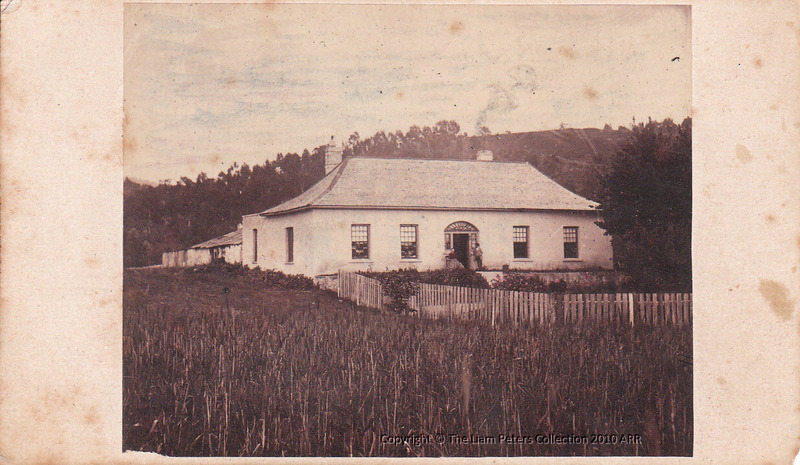 The house in this photograph is also mistakenly captioned at the Archives Office of Tasmania as Colonel Davey’s house, which was known as Roseway Lodge. But Roseway Lodge was not situated on a hill; it was built on the valley floor – at Kangaroo Bottom – next to the New Town Rivulet on the site currently occupied by Pura Milk, formerly Bakers Milk. The original location of Roseways is shown in the lower foreground of the second photograph below. The Victorian house which replaced the original was rebuilt on the site in 1922. 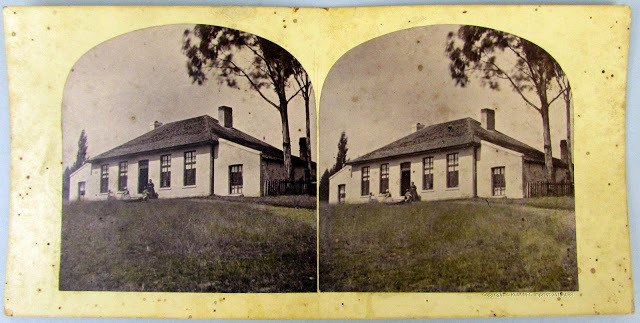 So, here back at Kangaroo Valley are the two houses photographed by Thomas J. Nevin in 1868. Neither house exhibits features of Spanish architecture from the early 1800s. Neither house was the home built for George Hull on his 2000 acre estate in the 1830s which he called “Tolosa”. These two houses were most likely the two “cottages” advertised for sale in 1880 on Lot 3 on George Hull’s map of his estate. They occupied the 20 acres of productive garden and orchard along the eastern boundary of the New Town Rivulet, adjacent to the Lady Franklin Museum. “T.J. Nevin Photo” inscribed on verso, ca. 1868. Exhibited at Wellington Park 1868. Photographer W. Little who resided in the area in the 1920s sold this postcard view of the road leading to the Lady Franklin Museum to highlight the incongruity of a classic Greek temple in the midst of farms and orchards. 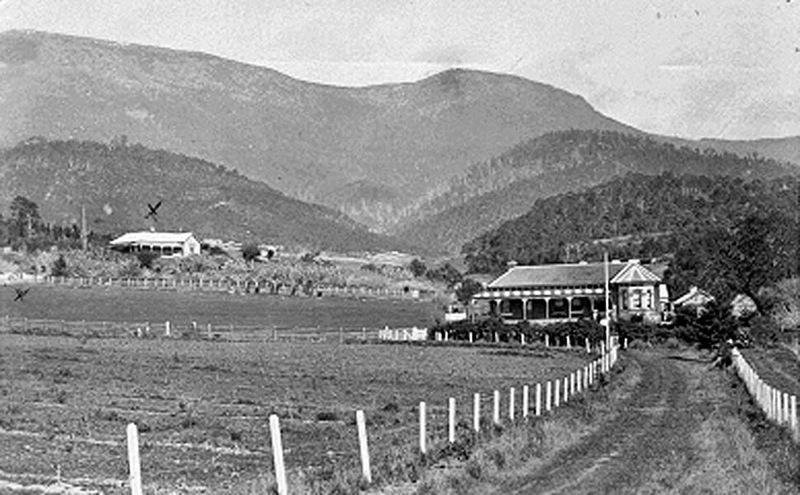 The locality was renamed Lenah Valley in 1922, and the village name “Augusta” was simply retained as the name of the main road leading up to the Museum. Decades before, however, Thomas Nevin photographed the same vista of the path leading to the Museum, and sold it as a stereograph. 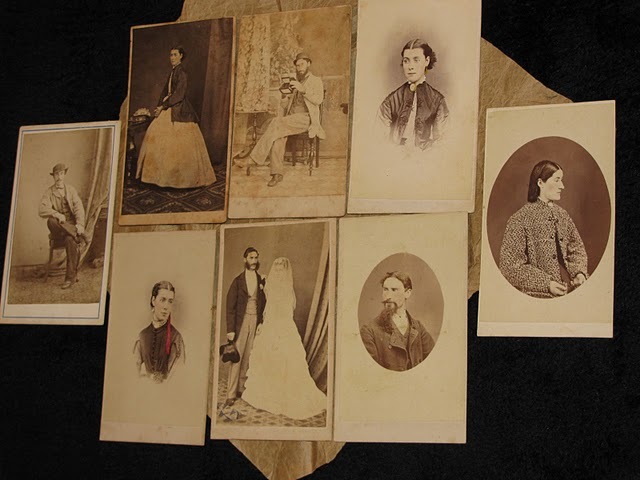 The only evidence of its existence to date is the half- image pasted as a collage between the portraits of Thomas and Elizabeth Nevin in the scrapbook of their son George Nevin. 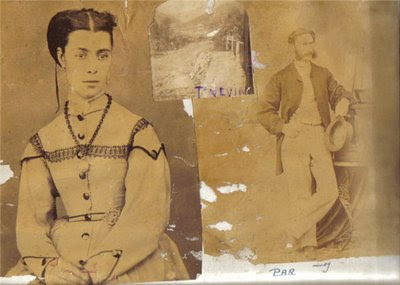 Beneath the photo of his mother Elizabeth Rachel Nevin he has written “MAR” and beneath the photo of his father Thomas J. Nevin he has written “PAR”, a phonetic reflection of an Irish brogue which might have characterised the speech of his Irish-born grandfather John Nevin snr. Copyright © The Denis Shelverton Collection & KLW NFC Imprint 2006-2017 ARR. Hugh Munro Hull was older than Thomas J. Nevin by more than twenty years, yet he took up photography and shared this interest as both a friend and colleague in the 1860s. Both worked for the colonial administration and Hobart City Council. Hugh Munro Hull was the Council Clerk, and the Clerk of the House and Librarian to the Tasmanian Parliament. This stereoscope by Thomas Nevin was taken from the Hull estate, looking down towards the hopfields and businesses of Glenorchy at Elwick Bay on the River Derwent. 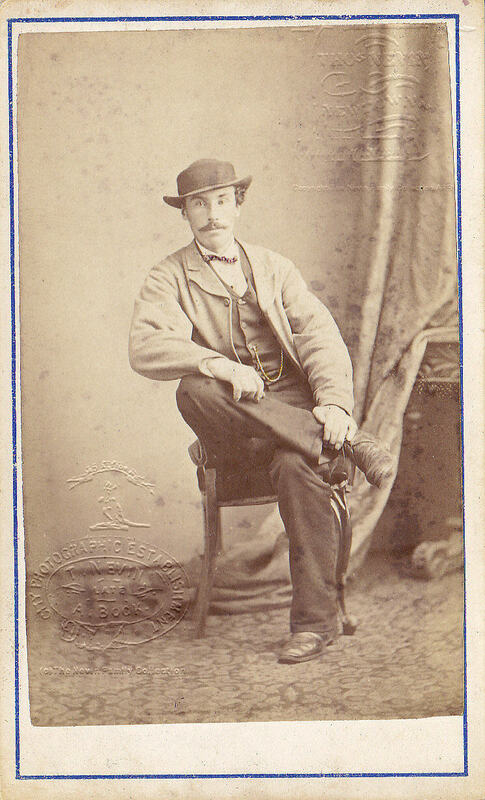 The photo (below) of Hugh Munro Hull was taken at the City Photographic Studio ca. 1867 by Alfred Bock and Thomas Nevin. The table, carpet and backcloth featuring an Italianate tiled patio appear in several of their extant studio portraits taken shortly before Thomas Nevin acquired the studio and business on Alfred Bock’s departure from Tasmania in 1867. 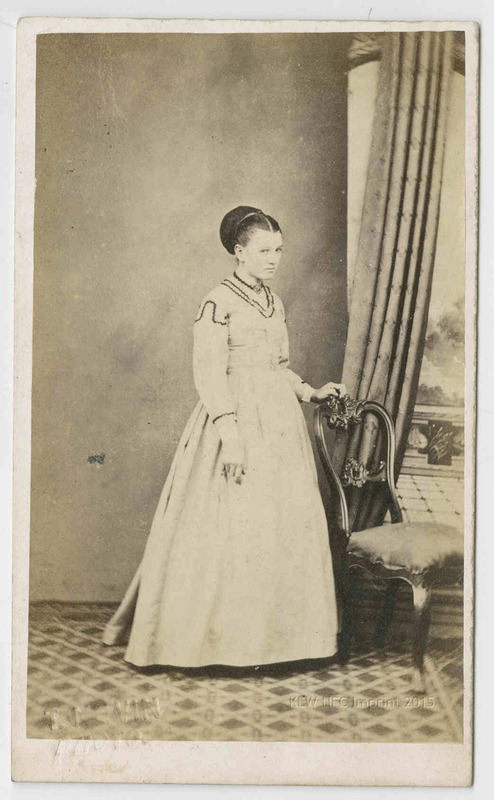 Physical description:1 photograph : sepia toned ; 11 X 8 cm. Notes: Exact size: 110 X 75 mm. Title inscribed in pencil on verso in unknown hand. Summary: Full length photo of H.M. Hull seated at a small table with a quill pen in hand. This full-length photograph of Hugh Munro Hull in official dress was taken by Alfred Bock and Thomas Nevin at their studio, 140 Elizabeth-street Hobart ca. 1867 where one of their backdrops featured a square tiled patio terrace pattern rising in perspective to a painted balustrade overlooking a vista of disappearing river and mountains. Thomas Nevin worked closely with Hugh Munro Hull to document the damage of the great landslide at Glenorchy of June 4th 1872 which destroyed houses, farms, businesses and streets and tore boulders and vegetation from the slopes of Mount Wellington. 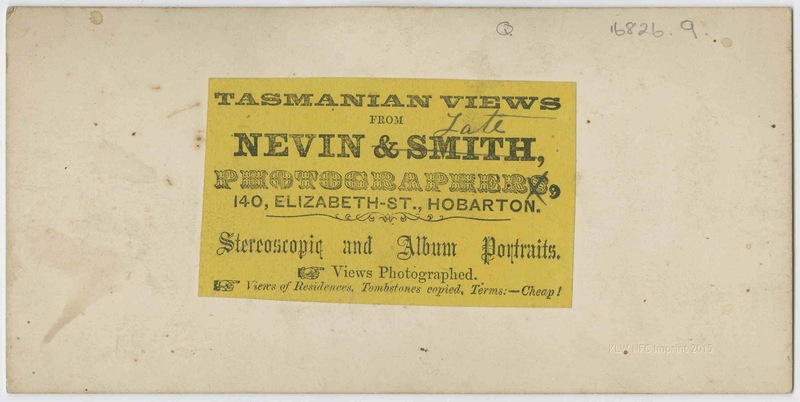 Within days Thomas Nevin was out and about taking photographs of the damage on commission for the Lands and Survey Division of the Hobart City Council in the company of Mr. Hull, Council Clerk for the district. A few weeks before his death in April 1882, Hugh Munro Hull, Librarian to the Parliament, placed an advertisement in the weekly police gazette, published as Tasmania Reports of Crime Information for Police (James Barnard, Government Printer), in which he advised that legal proceedings would be taken against borrowers of books (members of Parliament excluded) that had not been returned since 1857, that is, over a period of more than twenty years. Evidently, Hugh Munro Hull was performing his last audit as the ever-dutiful, exemplary public servant. The list of books, included in the police gazettte notice runs to hundreds of titles, and gives a snapshot of desirable reading of the period. Titles include fictional works by Thackeray and Rabelais, many many travel books, and of course, works by Machiavelli. The biography below contains no hint that Hugh Munro Hull faced insolvency in 1857, merely that his health was so poor his doctor advised to quit his country magistracy. He took the position of assistant clerk-librarian of the House of Assembly, acting clerk in 1862 and clerk in 1864-82. 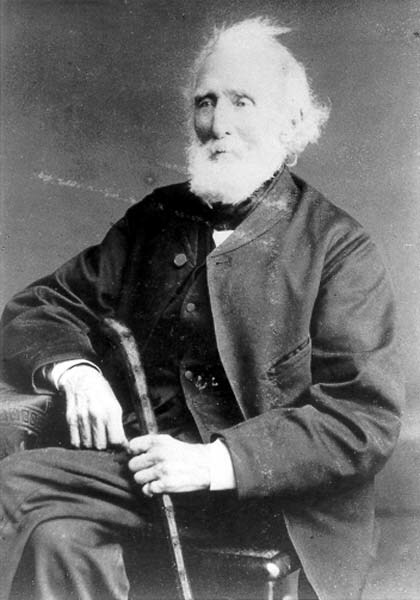 Hugh Munro Hull (1818-1882), civil servant, was born in London, the eldest son of George Hull and his wife Anna, daughter of Captain Hugh Munro of the Coldstream Guards. 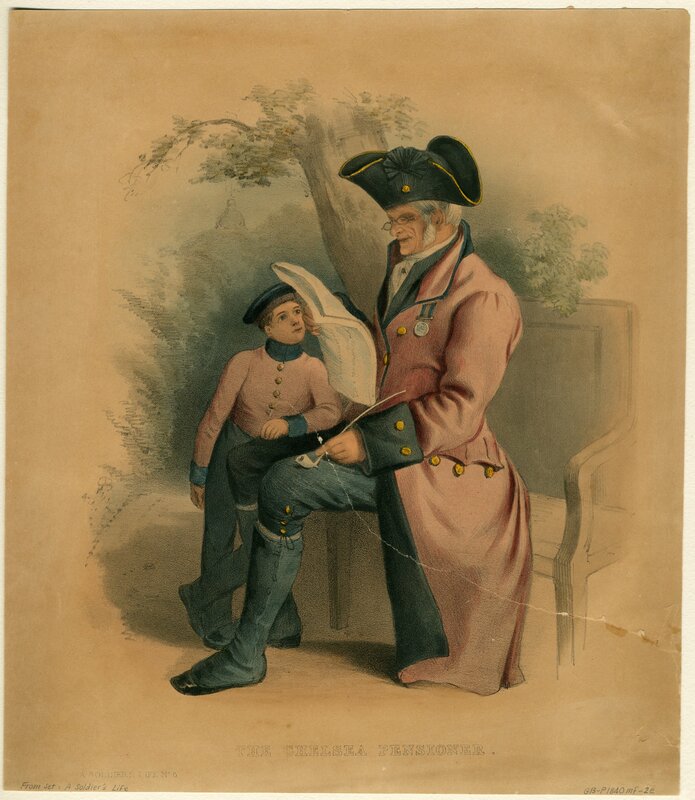 He sailed for Sydney with his parents and sister in the convict transport Tyne, and in September 1819 arrived at the Derwent where his father became assistant commissary general. 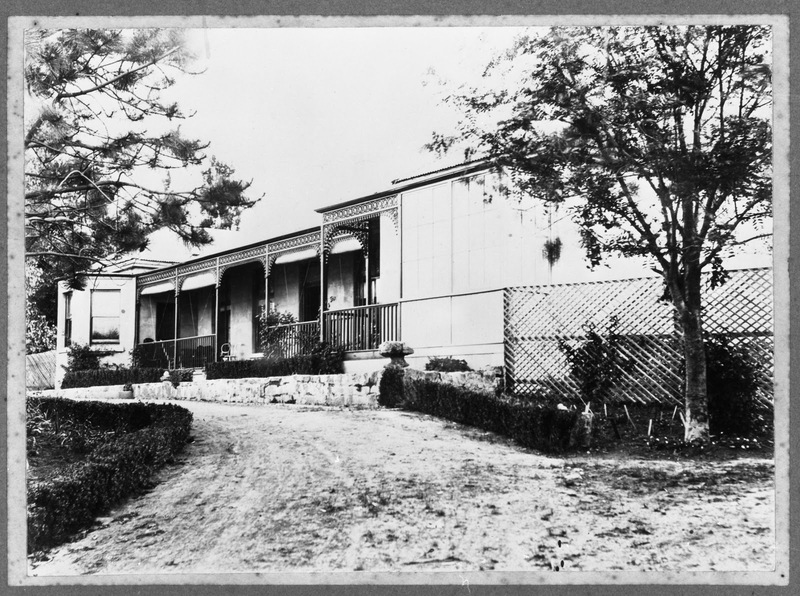 The family home was soon established on a 2560-acre (1036 ha) land grant at Tolosa, Glenorchy; his father was transferred to Launceston in 1823 and after a few months Hugh became a boarder at Dr Thompson’s Academy in Hobart. 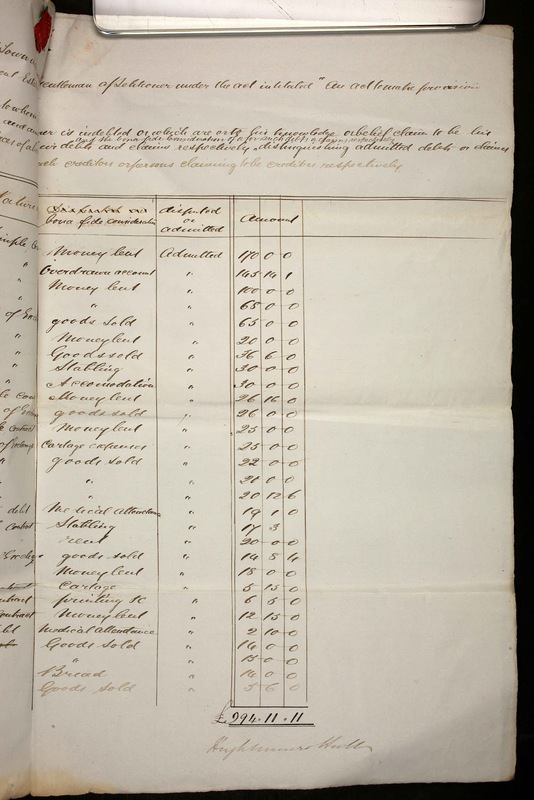 In 1829 he returned to Launceston to assist his father as a ‘volunteer clerk’. 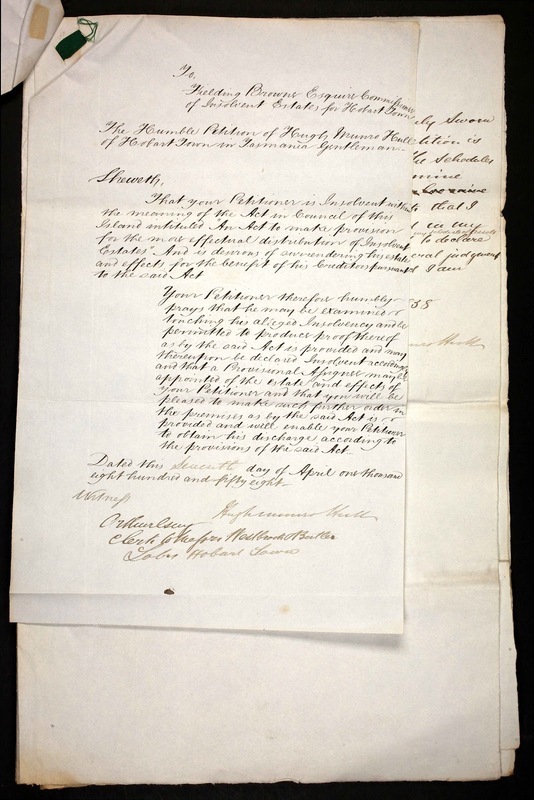 On a visit to his office Lieutenant-Governor (Sir) George Arthur promised him a formal civil service appointment when he reached a suitable age. When his father retired in 1831 the family returned to Tolosa where Hugh joined them. Hull was presented by his father at Government House in 1834 and became a clerk in the governor’s office. Arthur took a personal interest in him, giving him books to read, and encouraging him to broaden his knowledge. He soon tired of the long daily rides between Tolosa and town, and after August 1835 lived in Hobart. He became senior clerk and keeper of the records in the colonial secretary’s office in 1841 and in 1848 chief clerk in the governor’s office. He got on very well with Lieutenant-Governor Sir William Denison, for whom he had great respect, and who when he left the colony glowingly acknowledged Hull’s services and gave him a gold watch. Vigorous in community affairs Hull was also secretary of the new Tasmanian Public Library and of the committee for the review of convict expenditure, acted as unofficial government statist and as meteorologist at Government House and was a fellow of the local Royal Society. 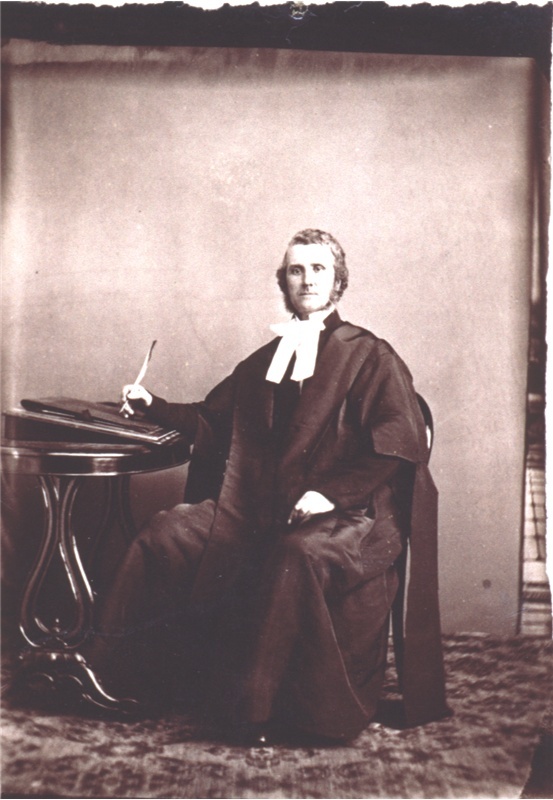 The second phase of Hull’s career began in June 1856 when he became police magistrate for the Bothwell, Hamilton and later, Green Ponds districts, living at Bothwell and also holding office as justice of the peace, coroner, chairman of Quarter Sessions, commissioner of the Court of Requests, returning officer for Cumberland electorate, chairman of Bothwell Road Trust and manager of Bothwell and Hamilton Savings Banks. Pluralities were then common and like many contemporaries he was pleased to recite his long list of offices. Nearly 40, he considered himself hale and hearty, weighed exactly nine stone (57 kg) and could ride fifty miles (80 km) without much fatigue, but the harsh inland climate and strenuous duties affected his health; in October 1857 his doctor advised him to give up riding and that meant the end of his country magistracy. 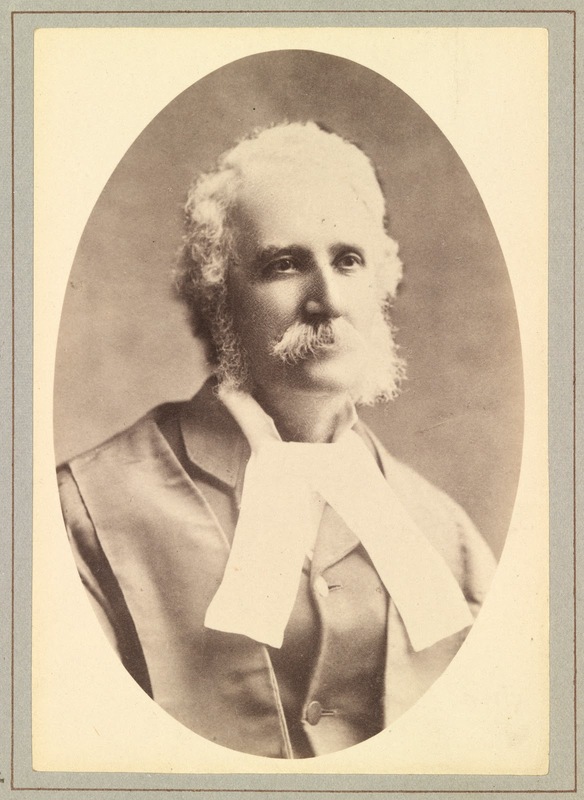 Soon after responsible government was granted, he became assistant clerk-librarian of the House of Assembly, acting clerk in 1862 and clerk in 1864-82. He also served as secretary to royal commissions, organizer of Tasmania’s exhibits at intercolonial and international exhibitions and secretary to the reception committee for Prince Alfred’s visit in 1867 as well as putting his spare time to good use by developing his talents as scholar, lecturer and writer. He produced and published many statistical summaries, abstracts of legislation, newspaper articles, catalogues, calendars and guides to Tasmania. 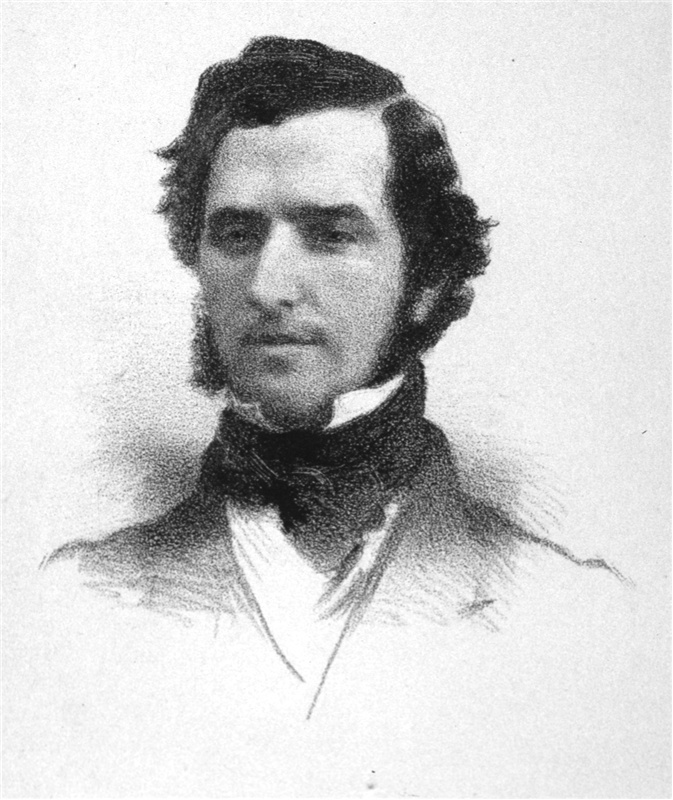 The government bought thousands of his Hints to Emigrants, and his Guide of 1858 and Royal Kalendar and Guide of 1859, published by Charles Walch, were forerunners of Walch’s Tasmanian Almanac. Elected a member of the Royal Colonial Institute in 1873, he became a corresponding member of other intercolonial and overseas societies. He was elected manager of St John’s Presbyterian Church of which he was a member, and other societies and associations availed themselves of his services as secretary. One of his greatest satisfactions was his organizing, at first through the Oddfellows’ lodge, of a volunteer rifle company. In 1861 he was commissioned a captain and by persistent practice became a champion rifle shot. Quiet, genial and obliging, Hull was a good family man. He took a close interest in his brothers and sisters, the twelfth of whom was born in 1841. 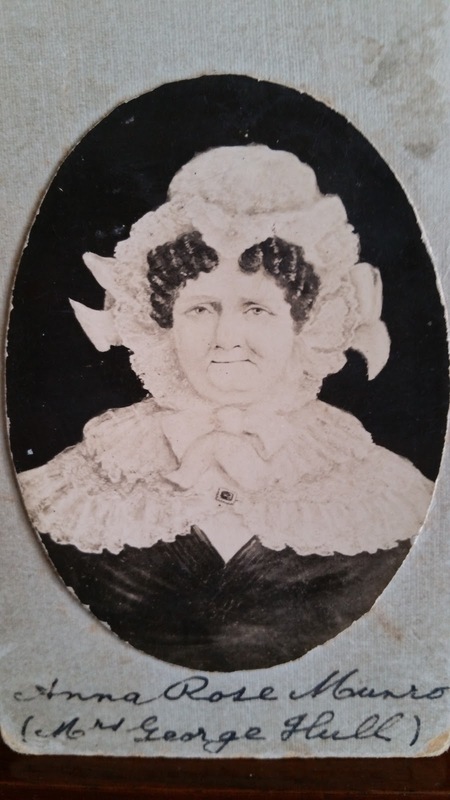 On 31 October 1844 he married Antoinette Martha, daughter of James Aitkin, sheepfarmer and magistrate of Epping; they had two children before she died in July 1852. 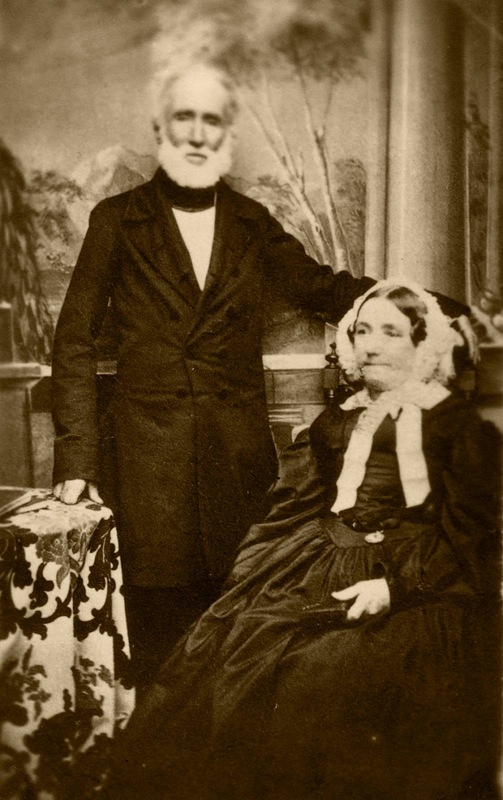 In raising his young family Hull was helped by his late wife’s aunt, whose daughter, Margaret Basset Tremlett, he married on 3 January 1854. 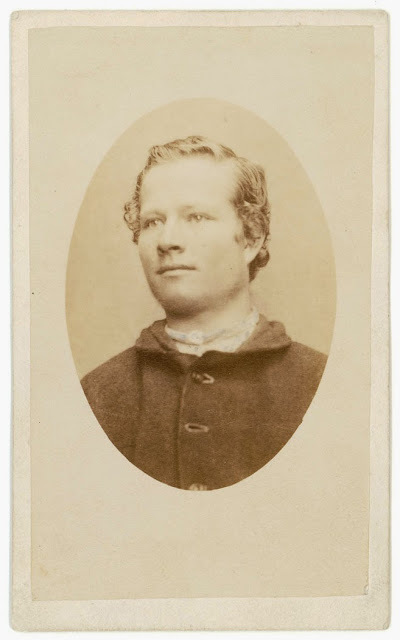 Hull died in Hobart from a heart attack on 3 April 1882, survived by his second wife and eleven of their twelve children. 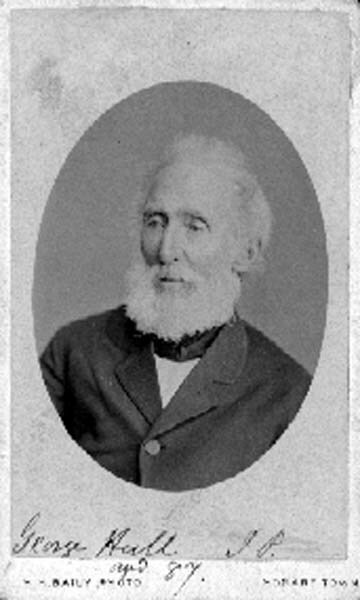 His second son, Hugh, had joined him on the parliamentary staff in 1868 and rose in the civil service to head the Stores Department. Hull’s obituarist in the Mercury declared that ‘seldom in the longest lifetime has any man filled so many honorary positions’. Two of Hull’s own writings furnish the main accounts of his career: The Experience of Forty Years in Tasmania (London, 1859); and a memoir written on extended leave in 1875. In: Members of the Parliaments of Tasmania – no. 24 / photographed by J.W. Beattie. NB: H.H. Baily’s photograph of H.M. Hull which was taken before his death (1882) was reproduced by J.W. Beattie in 1895 for his series Members of the Parliament of Tasmania 1895. It is wrongly attributed to Beattie.